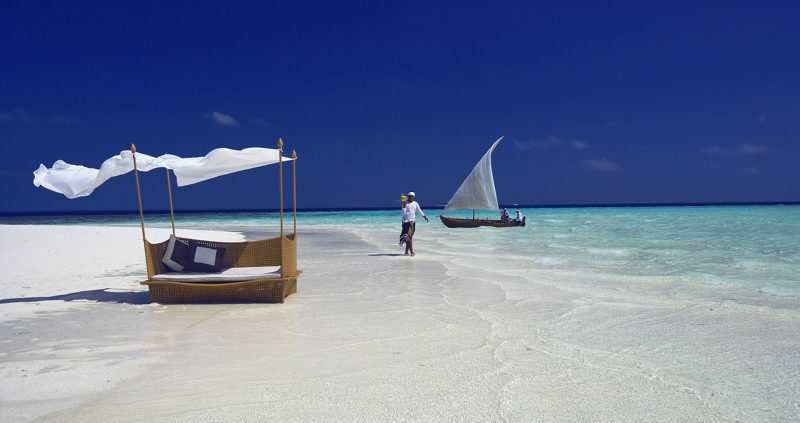 Baros Maldives is an exclusive 5* Maldives island resort in the crystal clear waters of the Indian Ocean encircled by a beautiful beach and an excellent house reef. You can reach Baros in only 20 minutes by speedboat from Male Airport. This award winning stylish boutique resort is well known for its fabulous service. It is one of the most romantic islands you could choose. It is the perfect honeymoon island. 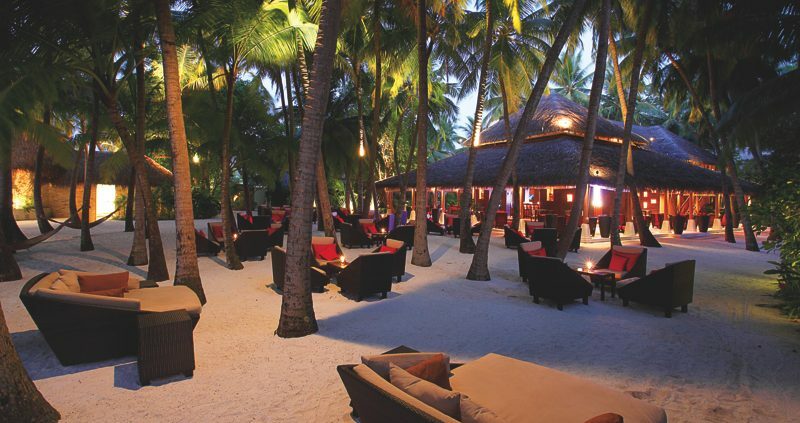 Baros Maldives is a foremost luxury resort, it offers you a choice of superb Beach and Water Villas. The Beach Villas offer timeless natural refinement, many have their own private pools, set in lush tropical plant life, and then there are the isolated Water Villas of tranquillity. There are 45 beachside and 30 over-water villas for you to chose from. All are exquisitely designed and have beautiful furnishings, large windows for natural light, and a matchless ambience. There is also a veranda or sun deck, loungers and dining table for two. 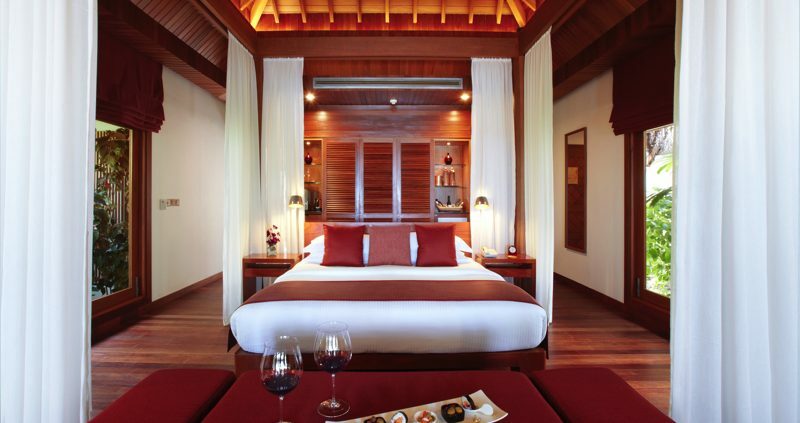 The Villas all have plenty of space, bedroom with a king size, a vanity desk and large sofa or day bed. All can directly access the beautiful lagoon by the beach, from the veranda or by wooden steps from the deck. Baros Maldives boasts a resident Marine Biologist who runs the Marine Centre, where you can learn all about the underwater world surrounding you. 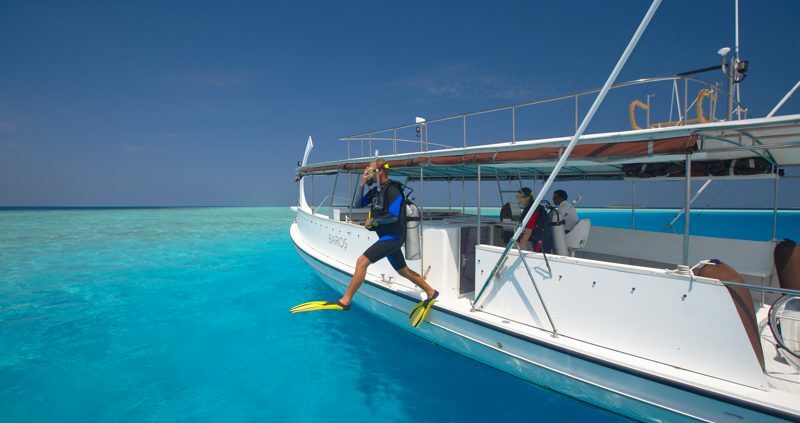 He also arranges some of the best snorkelling trips in the Maldives. Going snorkeling in the Maldives is amazing wherever you stay, but nothing matches the accessibility and splendour to be experienced at this luxury resort. Also recognised for its impressive house reef, so close to the shore that it can be explored by both beginners and experts. If you love your water sports there is a great centre here. 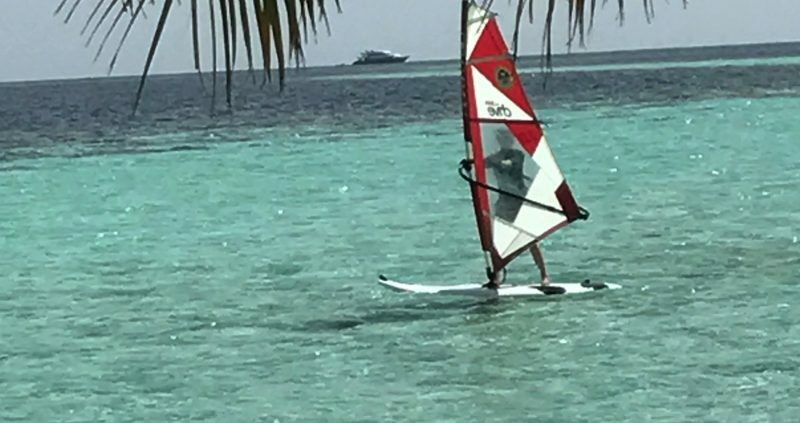 Take a relaxing ride in a glass bottom boat or go windsurfing, there is something for you all to enjoy. If you want some of the best diving in the Maldives, then choose Baros Maldives. The dive centre has been in operation since 1979 and was one of the first to be opened in the archipelago. It is a PADI five-star Gold Palm Dive Centre with a knowledgeable team offering you diving in small groups with personal attention. Twice a day a variety of over 30 dive spots can be visited by you, all no more than a 50 minutes boat ride away. Amongst them are Marine Protected Dive Sites, sites exclusive to Baros Maldives, and classic North Male’ diving sites. Baros Maldives may be a small island in the Indian Ocean, but it promises you meals comparable with the best in the world. The chefs’ range of knowledge is extensive, allowing them to prepare whichever dish you choose. 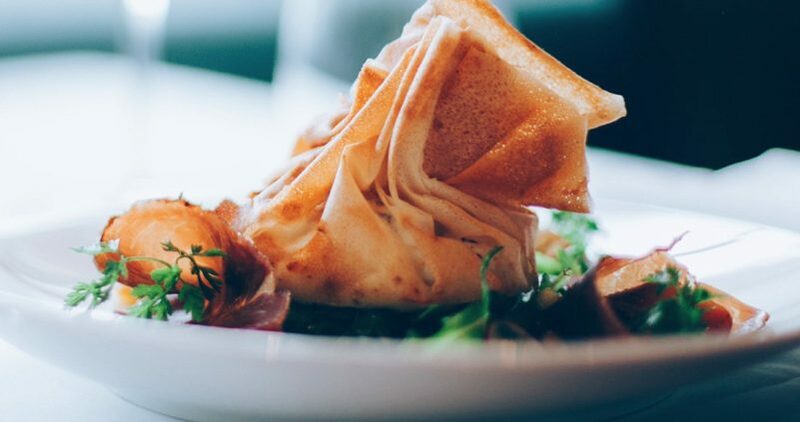 Would you like something new to try every day, or your favourite dish two days in a row. There are 3 restaurants and 2 bars. They are particularly proud of the fine dining restaurant, the trademark promise of this luxury resort. As well the restaurants and bars there is a choice of exclusive dining experiences for you to try. How about a special gourmet meal on the Villa Deck. Have your breakfast, lunch or dinner on the beach or elsewhere this tropical island paradise. Other choices include, dinner sailing on a luxury dhoni, breakfast or a picnic or dinner, on a secluded sandbank in the middle of the Indian Ocean. Now that’s romance.